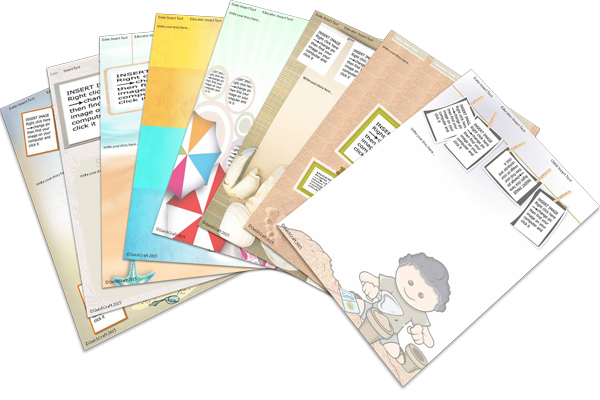 Templates for your child's learning stories or portfolio, for a sand play experience. 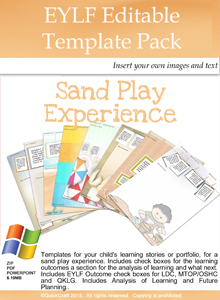 Document the learning that is happening when children play with sand. Ipswich Care Provider-I am Secretary of our Carer's Support Group & have recommended these products to our Scheme Office & the Carer's in our Scheme. I highly recommend this easy to use, excellent, professional & educational product. Thanks, great for documenting and presenting our many sand and natural materials experiences.